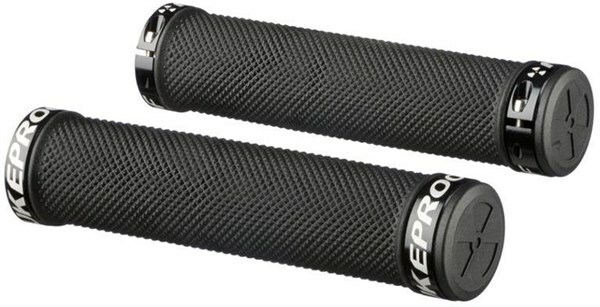 The Nukeproof Element knurled grip has a thicker custom specified soft-compound Kraton rubber grip with a knurled pattern for optimum riding confidence and control. Featuring CNC-machined 7000-series aluminium lock-rings for wet-weather peace of mind and available in black, white or yellow, the Element is a comfortable and confidence-inspiring grip designed for hard riding in real-world conditions. 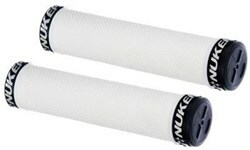 excellent grips even in wet conditions. they feel great with gloves and without gloves. 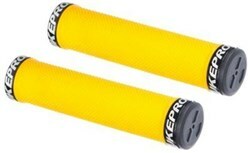 Excellent grip also without gloves.These grips feel well made and built to last. Good in wet conditions also.